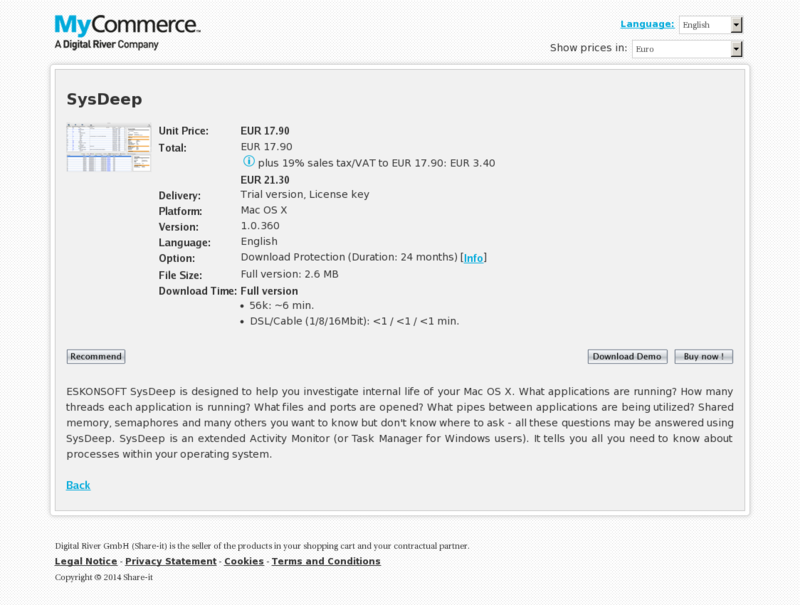 ESKONSOFT SysDeep is designed to help you investigate internal life of your Mac OS X. What applications are running? How many threads each application is running? What files and ports are opened? What pipes between applications are being utilized? Shared memory, semaphores and many others you want to know but don’t know where to ask – all these questions may be answered using SysDeep. SysDeep is an extended Activity Monitor (or Task Manager for Windows users). It tells you all you need to know about processes within your operating system.